LANSON BLACK LABEL BRUT N.V.
Q: What kind of champagne does the Bubbly Blaster work with? A: Bubbly Blasters attache to all full size (750ml) champagne bottles. Q: What is the Bubbly Blaster made out of? A: The body, handle and interior parts of the Bubbly Blaster are made out of food safe aluminum and brass, and the bottle sealing system is made out of food safe rubber and hard plastic. Q: How far can the Bubbly Blaster shoot? 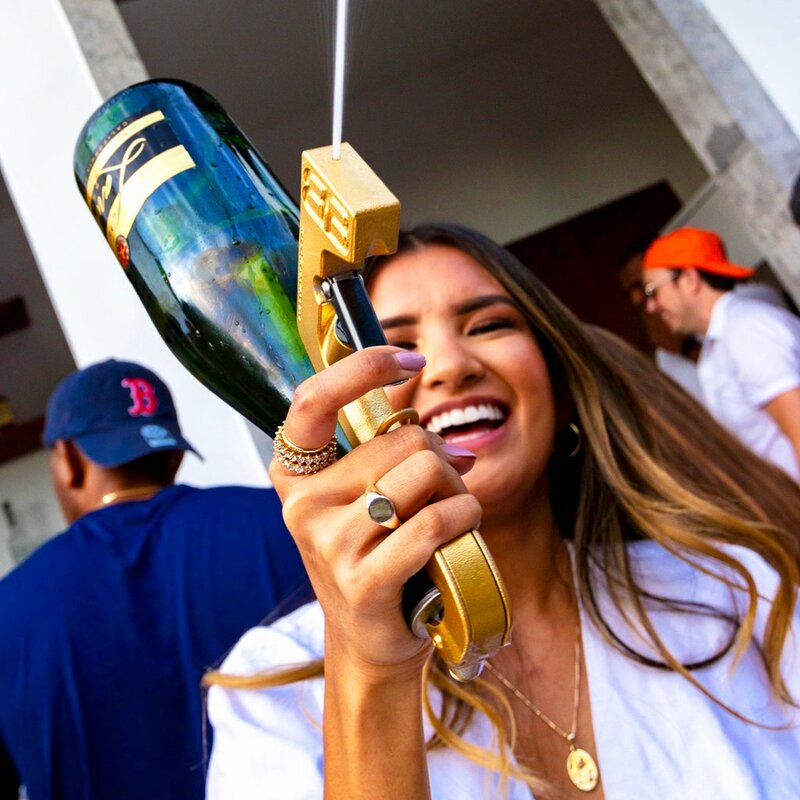 A: Depending on the temperature, how bubbly your champagne is, and how much you care to shake it, the Bubbly Blaster can produce a stream up to 30 feet when the trigger is full throttle.